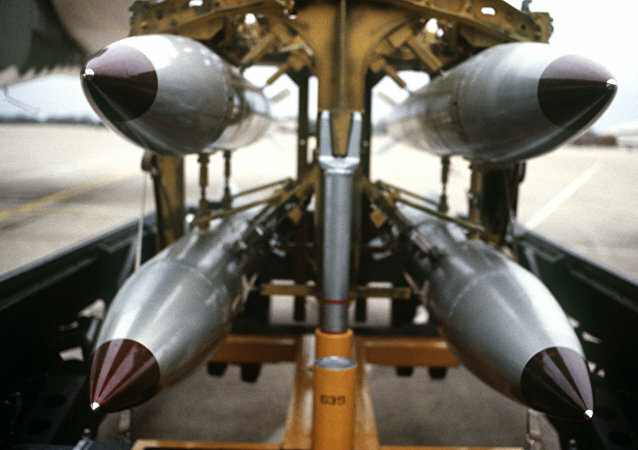 Once deployed, the low to intermediate-yield tactical and strategic weapons will replace existing B61 bombs at the US's European and Turkish bases. The National Nuclear Security Administration's (NNSA) flight tests of a modified B61-12 gravity nuclear bomb were neither a confrontational move nor a specific "message" to Russia, Michael O'Hanlon, Director of Research for the Foreign Policy program at Brookings Institution, told Radio Sputnik. The B61 is an American nuclear gravity bomb. Its development was initiated by the Los Alamos National Laboratory, New Mexico, in 1960. The first test was conducted in August 1963 and the bomb was eventually adopted in 1968. The second qualification test of the B61-12 bomb conducted on August 8 came as a "signal" to Russia, American nuclear expert Dr. Hans Kristensen told Radio Sputnik. According to the academic, the US nuclear program is nothing but part of a broader effort by global powers to modernize their nuclear stockpiles. The first test of the Soviet atomic bomb 78 years ago came as a surprise to US war planners and a game changer in the Cold War. Over decades the two countries have maintained nuclear parity; however, the recent B61-12 gravity bomb tests by the Pentagon have evoked strong memories of the US-USSR standoff. 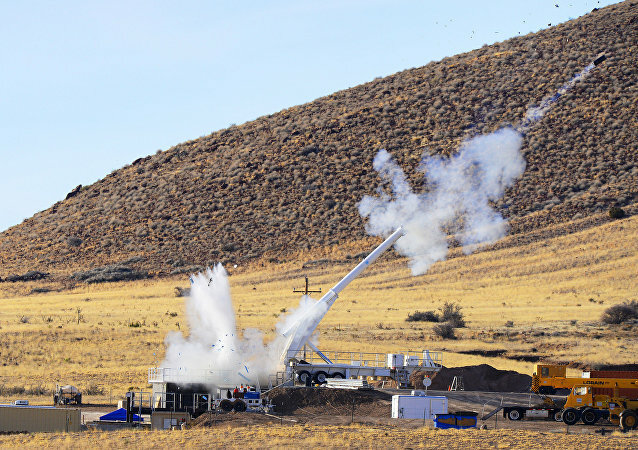 Derek Johnson, executive director of Global Zero, an international group campaigning for the elimination of nuclear weapons, stated that the fate of the B61s stored in Turkey at the Incirlik Air Base could be made uncertain in the event of a protracted civil conflict in Turkey. 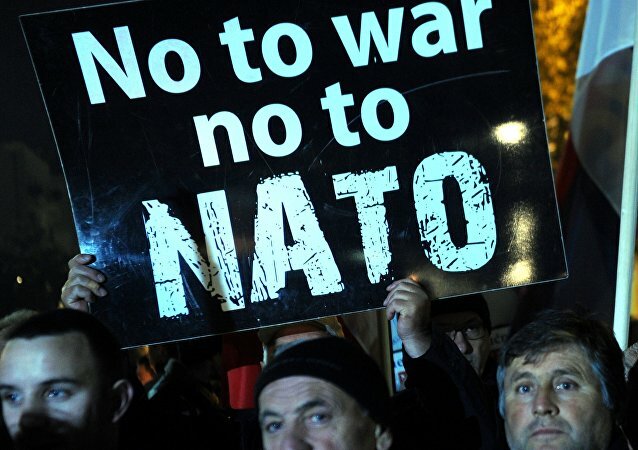 The US-led NATO alliance is exacerbating tensions in Europe, dealing a heavy blow to the continent's stability and security. The EU member states should pursue their own interests, not those of Washington, according to journalist Deena Stryker. The United States plans to restock its nuclear arsenal in Germany with new B61-12 atomic bombs despite calls to remove nuclear arms from its soil, German media said Friday. Right after the announcement of the US National Nuclear Security Administration (NNSA) of the final development phase for upgraded B61-12 thermonuclear bomb came another one about a new intercontinental ballistic missile. One Russian military observer has explained why such ambiguous and vague statements have been made here and now. Guess Where the US Will House Its New Modernized Nuclear Arsenal? On Monday, the US National Nuclear Security Administration (NNSA) announced the final development phase of the upgraded airborne nuclear bomb B61-12 prior to production, the first version of which is to be completed by 2020; earlier reports suggested that 20 of these modernized bombs are destined for Europe as a possible deterrent against Russia. Air Force Secretary stated that US modernization of its B61 atomic bomb is not aimed at lowering the threshold for using nuclear weapons. 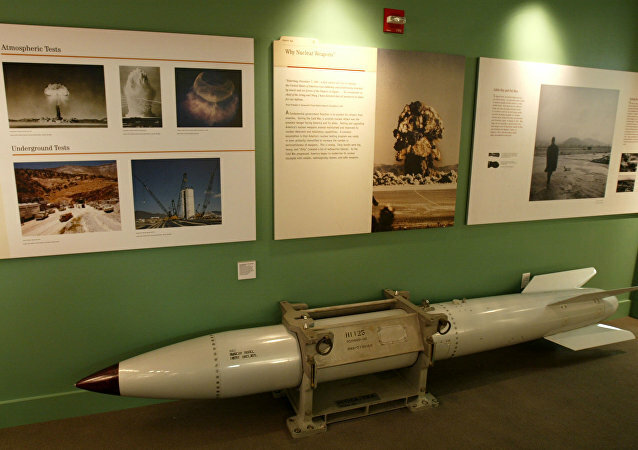 Once the United States upgrades its decades-old B61 tactical nuclear bomb to its 12th modification, the improved weapon will receive advanced capabilities that will allow it to do something it has never done before – penetrate well-fortified command and control centers located deep underground, the newspaper Vzglyad reported. The United States' B61-12 nuclear warhead life extension program (LEP) is extremely destabilizing and breaches the existing multilateral non-proliferation obligations, Rick Wayman, Director of Programs at Nuclear Age Peace Foundation told Sputnik on Wednesday. The United States' B61-12 nuclear warhead life extension program will lower the threshold for the use of nuclear weapons, the head of the Russian Foreign Ministry’s Department for Non-Proliferation and Arms Control said Wednesday. 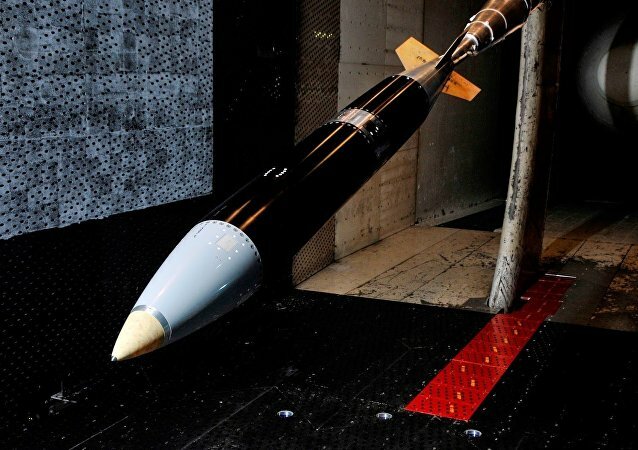 The decision by the United States to authorize the production engineering phase of the B61-12 nuclear warhead life extension program (LEP) is highly provocative and destabilizing at the time of NATO eastward expansion, NGOs told Sputnik on Tuesday.